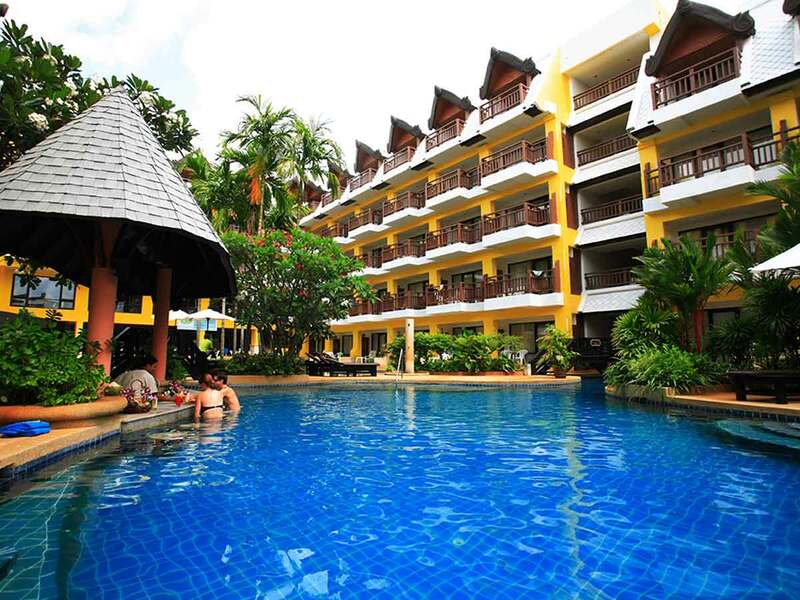 Enjoy the rest of your stay at Woraburi Phuket Resort & Spa in a Superior Pool Room! Inspired by local themes, and with a clean and uncluttered design plan, your room boasts a furnished balcony for you to relax on once you tire of the air-conditioning inside. We’ll get you to and from your holiday with no troubles—all you need to do is pack your bag and make your way to the airport! Enjoy return economy flights including 7kg carry-on baggage included in the price! Need more baggage space? Just ask our Holiday Experts how! Start your mornings the right way, with a stomach full of sumptuous breakfast foods! The talented chef’s put on a fantastic array of choices, so fill up a plate, pour yourself a cup, and fuel up for the day ahead. We know how much Aussie’s love a cold drink! Ease into your holiday and enjoy a cocktail at the bar on us! Feast on this! During your stay, enjoy a mouthwatering dinner for two! 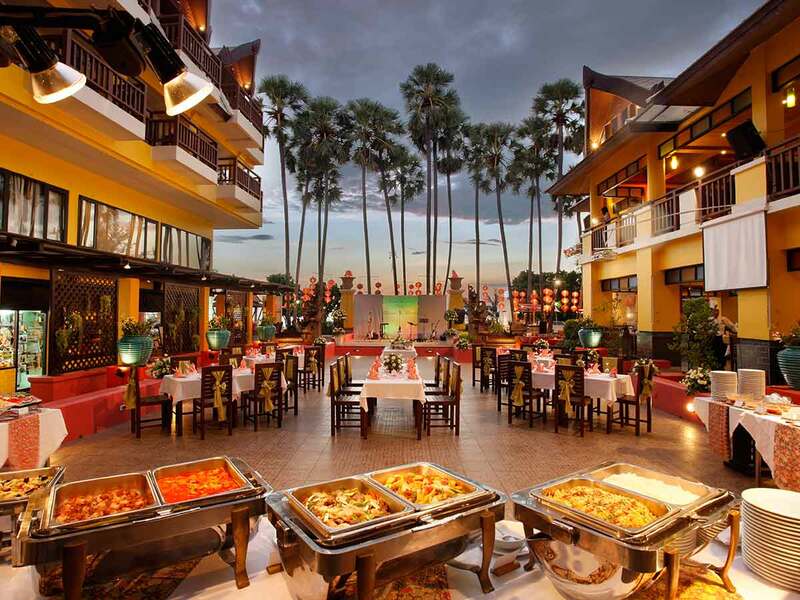 So take a seat, relax and let the talented chefs at Woraburi Phuket Resort & Spa spoil you! The room has been designed to have a minimalistic, uncluttered look with an Asian influence evident in the choice of colours and furnishings. At 32sq. metres in size and with the choice of a King-size bed or 2 Twin beds, the room is suitable for 2 or 3 guests. You have a furnished balcony with views over the pool area, making it a lovely spot to relax and enjoy the beautiful Phuket weather. You have a 32-inch TV with cable channels which you can enjoy in air-conditioned comfort and the room also has Wi-Fi, a minibar and facilities for making tea and coffee. This large 39sq. metre room comes with either a King-size bed or 2 Twin beds and with the options of additional bedding is suitable for 2 to 3 guests. It has been styled in the resort’s signature minimalistic fashion, creating a spacious and open feel. You have a furnished balcony overlooking the pool or garden area. Your deluxe bathroom has plenty of space and comes with a bathtub/shower combination, so you can have a relaxing soak at the end of a blissful day in paradise. 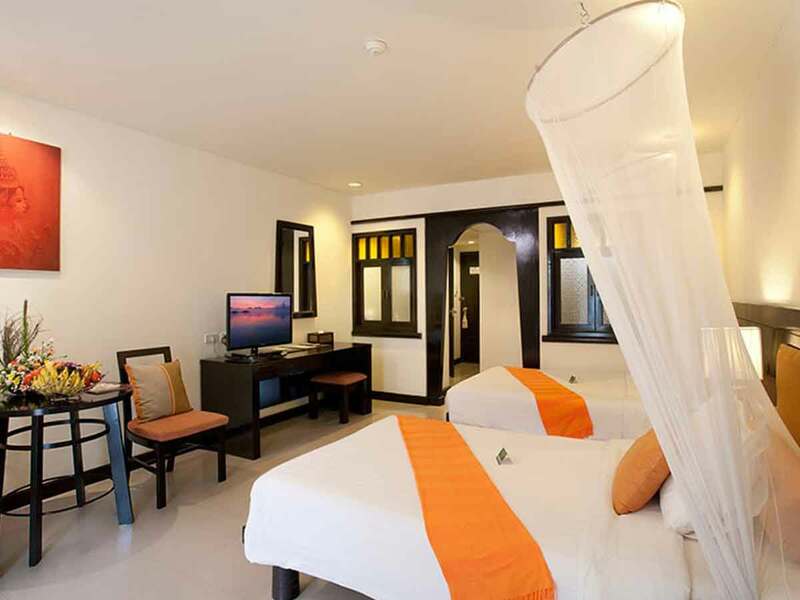 The room is air-conditioned and for your entertainment comes with a 32-inch TV with cable channels and Wi-Fi. You also have a refrigerator, a minibar and tea and coffee making facilities in the room. Your private furnished terrace adjoins the huge outdoor pool, so if you’re in the mood for a cool swim, it’s literally steps away from your door. The room is 32sq. metres in size and comes with either a King-size bed or 2 Twin beds and you have the option of additional bedding for children, so you can comfortably fit 2 adults and up to 1 child in the room. The room has a light and open feel, styled to suit the coastal lifestyle you will experience during your stay. If you need a change from the tropical weather, the room is air-conditioned and has a 32-inch TV with cable channels and in-room Wi-Fi. You have tea and coffee making facilities, a safe for valuables, a refrigerator and a minibar. Set right on the famous and beautiful Karon Beach, this relaxed resort offers you a wonderful location and lots of high-quality facilities to enjoy during your stay. The wide sandy beach is spectacular and is just metres away from the resort, so this will be a true beachfront holiday. The resort is in the heart of Karon Village, so you will find shopping close by and a variety of restaurants and cafés within a short walk. When you’re looking for a perfect beachside location and excellent value for money, this resort is an outstanding choice for your next getaway to Phuket. The resort has 207 rooms, all decorated in a signature minimalistic style that creates open and airy spaces, without losing comfort and appeal. The rooms have been designed to fit in with the coastal lifestyle and many of the rooms have views over the pool area and some have beautiful beach and ocean views. 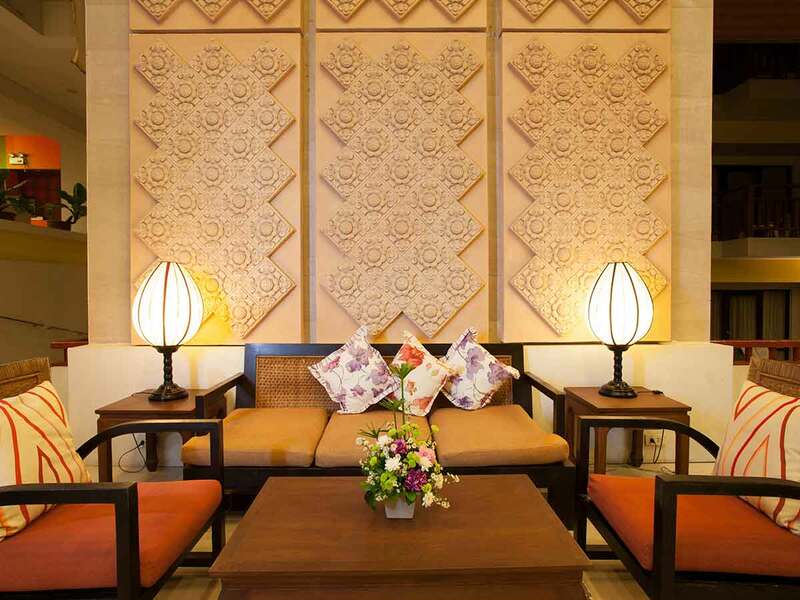 The resort has a laid-back ambience, with 3 low buildings set together to create an oasis for you to enjoy. 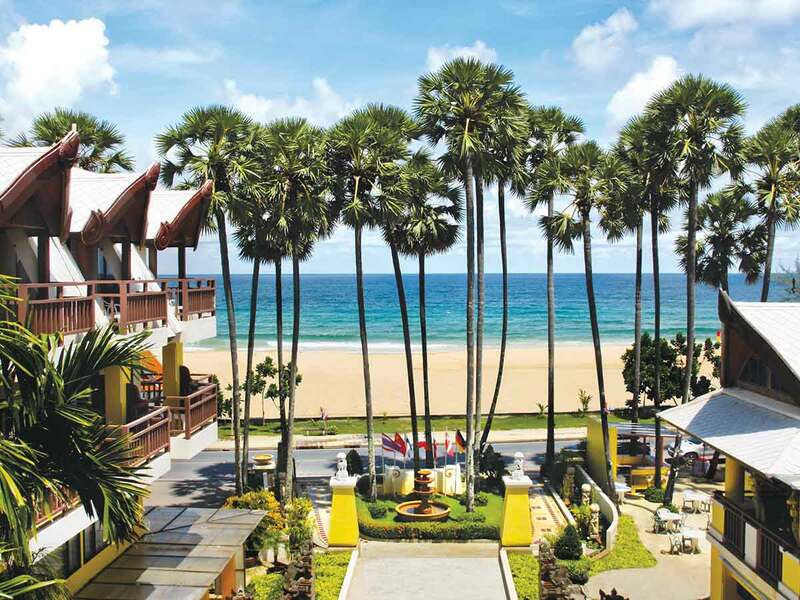 The resort is nestled against Karon Beach, which is a golden sandy beach with plenty of space to spread out and enjoy. It’s a wonderful beach to relax and unwind and there are safe areas to swim. If you need a change from the ocean, the resort pool sprawls between the buildings and is surrounded by lovely tropical gardens with some tall shade trees. 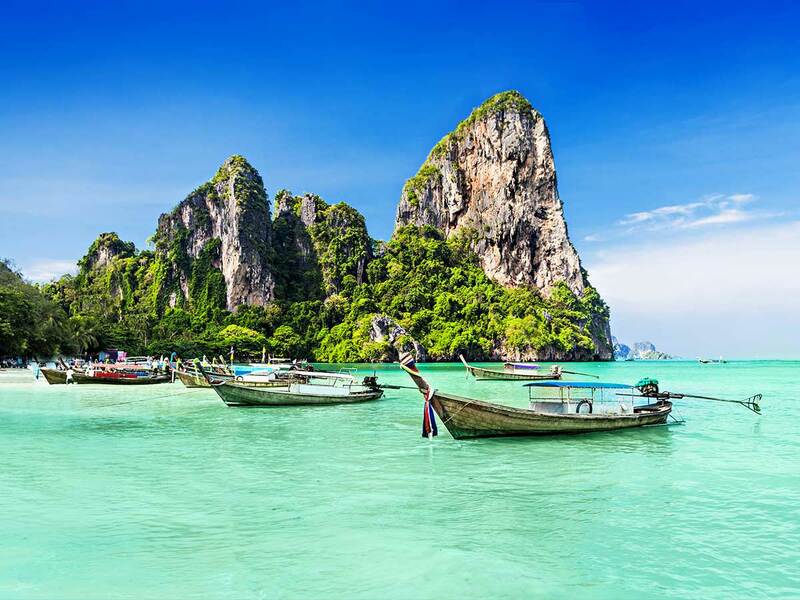 There are plenty of spots for sun lounges and umbrellas, so you can kick back and enjoy the amazing Phuket sunshine. There is also a swim-up bar with a range of tropical drinks available. The Smile Restaurant is open all day and offers a broad international menu with stunning ocean views. With several bars and lounge areas situated around the resort, it’s easy to find somewhere serene to relax and enjoy good company over a cool drink. 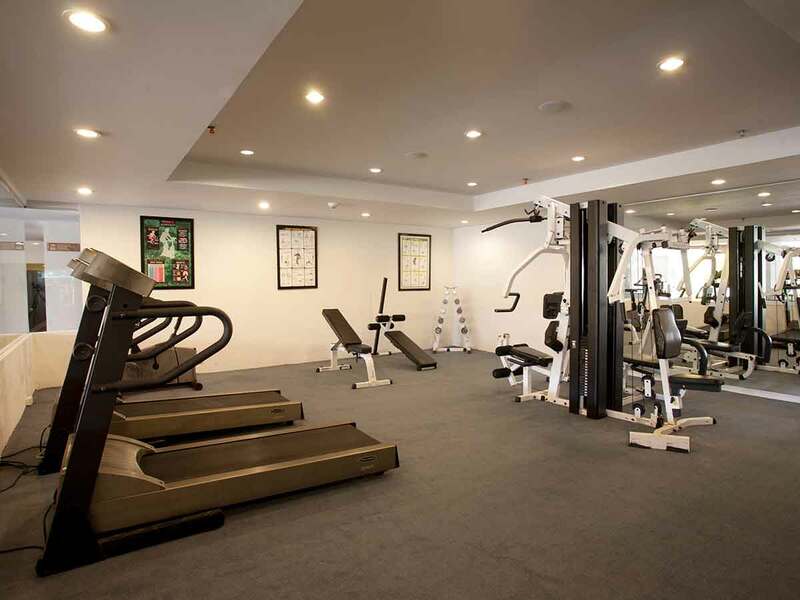 If you want to maintain your fitness regime the hotel has a great fitness centre with cardio equipment and weights. Alternatively, there are plenty of nearby paths for walking when you want to get outdoors. The Salildara Spa is a tranquil environment for some personal pampering and you can choose from the range of massages and health and beauty treatments offered by trained professionals. The kids haven’t been forgotten about, with the resort having a Kids Club, which is a safe environment for children to enjoy fun activities. How do I make a booking once I have purchased a Your Travel Deal voucher? Customers will need to contact the Your Travel Deal team. When you contact us to make your booking, we will endeavor to book and confirm all components of your package within 72 hours of receiving your booking details. Should we not be able to confirm any component, we will contact you with an alternative within 72 hours. For further details regarding the booking process please refer to our full Terms & Conditions (use the link at the bottom of this page). You can visit the 'Availability' tab which has live, up-to-date availability. Simply select a date in the calendar above the availability grid. For airfare availability, please contact Your Travel Deal on 1300 652 618. If I want to travel on a particular date but haven’t purchased a Your Travel Deal voucher, can the booking/room be held for me until I have purchased the voucher? Your booking is subject to the availability of the actual rooms provided by the resort for the Your Travel Deal promotion. This allocation of rooms is well in excess of the rooms required to satisfy the offer, however, not all rooms available at the resort on any given day will be available to guests participating in the promotion offer. Please note that booking available rooms is on a First Come First Served basis. No. Bookings/voucher redemptions and availability checks must be made through Your Travel Deal. I haven’t received my Your Travel Deal voucher yet. What do I do? Please call the Your Travel Deal team on 1300 652 618. Where can I find full terms and conditions for Your Travel Deal? **From price.  All prices below are in Australian Dollars and are based on per person twin share occupancy unless stated otherwise. ^Guaranteed availability on selected travel dates only. Restrictions & conditions apply. See website for full terms, conditions & travel dates. Please ask us for further details or visit our website at http://yourtraveldeal.com.au/. Your Travel Deal provides holiday packages offered by Ignite Holidays Pty Ltd & is a subsidiary of Ignite Travel Group. ATAS Accreditation No. A10345. Once you have selected your date you will be automatically shown 14 nights from the date of your selection of the resort availability. The numbers under each day listed, are actual available rooms for each day subject to blackout dates below. 2019 © Copyright Ignite Travel Group - All rights reserved.